Siddal came back from a 10-0 deficit to bag their first away win of the season with a 22-14 success at Normanton Knights yesterday. They climbed to fifth in the Premier Division of the National Conference with a fourth success in seven games ahead of a weekend off and then a televised game against Underbank at CWC Park on May 12. Normanton had lost only once beforehand and their huge forwards were used as battering rams against a more mobile Siddal side. The visitors again conceded the first try. An early penalty gave the Knights an advanced position and they moved the ball out wide for the left winger to touch down by the flag after three minutes. The kick sailed wide. Siddal responded well. George Ambler was leading from the front and was backed up well by Sean McCormack, Canaan Smithies and Danny Williams. They were dominating possession and territory but the visitors couldn’t find their way through a determined defence, although Ambler was held up over the line after 20 minutes. Knights stretched their lead against the run of play after 28 minutes when Siddal failed to deal with a grubber kick from the scrum half for the left centre to score and then improve his try for a 10-0 lead. Siddal gained the vital score their determined play deserved when Lewis Hosty scored by the flag on the stroke of half time. Gareth Blackburn was narrowly wide with the conversion attempt but Siddal’s confidence was growing. The second period began with Blackburn making a half break from deep inside his own 25. Hosty breached the home defence, only to be tripped having rounded the full back, resulting in a spell in the sin bin for the Knights last line of defence. Siddal made the extra man tell when half backs Chris Brooke and Jake Smith moved the ball wide to Gareth English. The player-coach’s tremendous long pass found Sam Walsh at pace and the flying winger’s touchline hugging run was rewarded with a try in the corner. Blackburn was again narrowly wide with the kick but at 10-8 the visitors were right back in the game. The momentum was now with the visitors and Danny Rushworth, Conner MacCallum, Byron Smith and Ben Hinsley were dominating their tiring opponents. Freddie Walker was also regaining his 2017 form and it came as no surprise when Siddal took the lead. Once again it was English taking the game to the home side and his dummy was taken by the Knights defence as he side-stepped his way under the posts from 25 yards out. Blackburn’s conversion put Siddal 14-10 ahead after 54 minutes. The lead was short lived. On 61 minutes, the home side showed enterprise following a Siddal knock on and a well timed kick through saw Lee Hammond touch down to level the scores at 14-14. Siddal rallied and restored their advantage after 68 minutes. Strong running from Sean McCormack, Smithies and Byron Smith led to Jake Smith finding Ben Hinsley in space and the second rower maintained his fine scoring form by storming over by the posts. Blackburn’s conversion put Siddal 20-14 ahead. 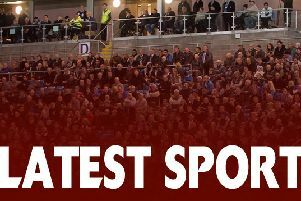 A vital eight-point gap was achieved after Knights held on to the rampaging English for too long in the tackle and Blackburn’s 74th minute penalty put daylight between the sides. The visitors dominated the last five minutes as they played at a pace that the home pack couldn’t match. English was a deserved man-of-the-match with Stuart Biscomb performing well for Knights.